Draft: 2007, Tampa Bay Devil Rays, 8th rd. Resides in St. Petersburg, FL during the offseason with his wife, Anna, and son, Luke...Participated in the Tigers Winter Caravan and TigerFest...Named Gatorade's New Mexico Player of the Year in 2007 as a senior at Moriarty High School. Made a career-high 39 appearances with Texas in 2018...Ranked third on the Rangers pitching staff with 86 strikeouts, while he was fourth with 102.0 innings pitched and fifth with 39 appearances...Sidelined from May 19-30 with a right knee sprain...Posted a 3.09 ERA (11.2IP/4ER) with 10 strikeouts over his final nine appearances of the season... limited opponents to a .214 (9x42) batting average over that stretch. Ranked 2nd on the staff in starts (31), innings (174.1), strikeouts (148), and quality starts (14) in his only full season with SF…his 5.52 ERA was the highest among the 58 ML qualifying pitchers (min. 162.0 IP) and was the 2nd highest in Giants franchise history (Terry Mulholland, 5.80 in 1995)…led the N.L. in runs (116) and earned runs (107) allowed and tied 3 others (Tyler Chatwood, COL; Clayton Richard, SD; Jeff Samardzja, SF) for the league lead in losses (15)…opp. batted .283, 3rd highest among N.L. qualifiers…had just 3.67 runs of support per 9.0 IP, 3rd lowest among all ML qualifiers and received one or no runs 14 times. SUMMARY // Was 1-4, 6.75 (25 ER/33.1 IP) over his first 6 starts beginning 5/2…had a 1-2 record and 3.13 ERA (11 ER/31.2 IP) in his next 5 outings, lowering season mark to 4.98 through 5/29…went 1-3, 8.10 (30 ER/33.1 IP) in following 7 games and was at 6.04 on 7/7…over his next 12 starts, was 3-5, 4.10 (34 ER/74.2 IP) to lower season ERA to 5.20…issued 7 ER in 1.1 IP in final start on 9/26 at ARI…did not win consecutive decisions all season with career high 5-game losing streak, 6/25-8/7…worked at least 6.0 IP 17 times, going 6-5, 3.04 in those contests with longest outing being 8.0 IP in season's 2nd start, 4/10 vs. ARI (W). Was acquired by the Giants from Tampa Bay at the trade deadline on Aug. 1 in exchange for IF Matt Duffy and minor leaguers Lucius Fox (IF) and Michael Santos (RHP). Went 6-5 with a 4.08 ERA in 12 starts with SF. Split the 2016 campaign between the Rays and Giants, combining for a 13-12 record and a 4.08 ERA in a career-high 33 starts...also threw a career-high 198.1 innings, 21.0 more than his previous high of 177.1 in 2012...his 178 strikeouts were also a career-best. Moore was the third former All-Star pitcher to join San Francisco in 2016, along with RHP Johnny Cueto and RHP Jeff Samardzija...it's the first time in team history that the Giants added three former All-Star pitchers in a season (Elias). Averaged 92.8 mph on his fastball, per FanGraphs...his fastball velocity hadn't been that high since 2012 (94.4), when he ranked third in the Majors to Tampa Bay's David Price (95.5) and Chicago's Jeff Samardzija (95.0). Moore, who was selected by the Rays in the eighth round of the 2007 draft, had spent his entire career with Tampa Bay, going 39-28 with a 3.88 ERA in 96 games (94 starts). The 2016 campaign marked his first full healthy season since his rookie campaign of 2012...prior to 2016, he had been limited to 14 starts over the past two seasons due to Tommy John surgery, which he underwent on April 22, 2014 by Dr. James Andrews. Made his Giants debut on Aug. 4 at Philadelphia and allowed two runs on three hits in 6.0 innings of a 3-2 Giants win. Had perhaps the best pitching performance of his career in his start Aug. 25 at Los Angeles-NL in SF's 4-0 win...was one out away from throwing his first no-hitter when rookie Corey Seager hit a clean but soft single to right, which Gorkys Hernandez had no chance to catch...Moore earned his first win with the Giants and prevented a three-game sweep that would've knocked SF four games behind LA in the NL West...Moore walked three and struck out seven while throwing a career-high 133 pitches. Allowed one run on three hits and two walks while striking out six over 8.0 innings in the Giants' wild-card clinching win over the Dodgers in his last start on Oct. 2. Was one of 18 pitchers to return to the majors in 2015 after under-going Tommy John surgery in either 2013 or 2014...made a total of 12 starts over two 6-start stints with the Rays… Spent the first three months of the season rehabbing from his April 2014 surgery...returned to the Rays on July 2 vs. CLE, 451 days after his last major league start (April 7, 2014 at KC)...went 1-3 in 6 starts with an 8.78 ERA (26.2-IP, 26-ER) and was optioned to Triple-A Durham on Aug 3… Returned for the final month of the season and went 2-1 with a 2.97 ERA (36.1-IP, 12-ER) while the Rays went 4-2 in his 6 starts...his 2.97 ERA after Sep 1 ranked 8th among AL starters (min. 6 starts), and his 36.1 IP tied Jake Odorizzi for the club lead over that span...held opponents to 2 runs or fewer in 5 of his final 6 starts...averaged 18.5 pitches per inning before he was optioned, compared to 15.5 after…Pitched 6 or more innings in each of his last 4 starts, going 2-0 with a 1.35 ERA (26.2-IP, 18-H, 4-R/ER, 7-BB, 23-SO, 1-HR)…According to PITCHf/x data, his fastball averaged 91.3 during his first stint and jumped to 92.6 mph during his second stint...92.6 would have marked his highest average since his rookie season of 2012, when his 94.4 mph ranked 3rd in the majors behind teammate David Price (95.5) and CHC Jeff Samardzija(95.0)… His 4-3 victory on July 12 vs. HOU over Tampa native Lance McCullers was his first win since Sep 29, 2013 at TOR, going 650 days between victories…His best start came Sep 17 vs. BAL, but earned no decision...worked 7 scoreless innings (2-H, 0-BB, 9-SO) and left with a 3-0 lead while facing only 2 batters over the minimum...Alex Colome came on in relief and allowed 4 runs in the 8th as the Rays fell, 4-3...threw 72 pct. of his pitches for strikes, the second-highest rate of his career...threw 16 straight strikes at one point…On Sep 12 vs. BOS, allowed home run Nos. 499 and 500 of David Ortiz's career in a 10-4 loss...yielded a career-high 4 HR, tying a club record for a LHP...allowed only 5 HR in his 11 other starts combined. In Game 162, defeated the AL East Champion Blue Jays at Tropicana Field, 12-3, in a game that began with the Jays still vying with Kansas City for postseason home field advantage...his line: 6 IP, 4 H, 1 R/ER, 4 BB, 4 SO, 1 HR…In between major league stints, went 2-1 with a 3.30 ERA (30-IP, 11-ER, 8-BB, 43-SO) in 5 starts with Durham…On Aug 22 vs. Columbus (Indians), shattered Durham's Triple-A record with 16 SO in only 6 innings...the previous record of 13 was shared by Moore himself (2011, his second career Triple-A start), Wade Davis and Jason Hammel...struck out his first 6 batters faced, and his first 8 outs came via strikeout. Entered 2014, his third full season in the majors, as the club's No. 3 starter, but made only 2 starts before undergoing Tommy John surgery on April 22 to repair the ulnar collateral ligament in his left elbow...was one of 26 major league pitchers to have Tommy John surgery in 2014...Dr. James Andrews performed the surgery in Birmingham, Ala. ...Moore was the first Rays major leaguer to undergo Tommy John surgery in nearly five years, since RH Jason Isringhausen on June 16, 2009...Lost his first start, 3-0, on April 2 vs. TOR...his second start came on April 7 at KC, where he exited after 4.1 innings due to left elbow soreness...allowed just 4 hits and 1 run in that game but the Rays were shut out through 8 innings before falling, 4-2...With the two defeats, fell behind David Price and into 2nd place on the team's all-time career leaders in winning pct. (min. 30 decisions)...Moore is at .630 (29-17), surpassed only by Price (82-47, .636). ALL-STAR GAME: Tossed a perfect 5th inning in the AL's 3-0 shutout of the NL, retiring COL Carlos Gonzalez (4-3), STL Yadier Molina (6-3) and COL Troy Tulowitzki (popup to 2B) on 9 pitches... On the day of his final start before the break (July 11 vs. MIN), was selected to replace TEX Yu Darvish on the AL All-Star Team by Manager Jim Leyland…Moore turned 24 on June 18 and became the fourth-youngest Ray to be named an All-Star, behind 3B Evan Longoria (2008-09, 22-23), LH Scott Kazmir (2006, 22) and OF Carl Crawford (2004, 22). POSTSEASON: Started Game 1 of the ALDS at Fenway Park and suffered a 12-2 loss…totaled 4.1 IP, 8 H, 8 R, 7 ER, 2 BB, 4 SO…held a 2-0 lead and had not allowed a hit until Boston's 5-run rally in the 4th inning…in Game 4, was the third of nine pitchers used in a 3-1, season-ending loss…shut out the Red Sox in the 3rd and 4th innings, keeping the game scoreless. Finished his first full season in the majors witha 3.81 ERA (177.1-IP, 75-ER) in 31 starts...wasone of three AL rookies to make at least 30 starts, along with BAL Wei-Yin Chen (32) and OAK Tommy Milone (31)...Chosen by the Tampa Bay Chapter of the BBWAA as the the club's Outstanding Rookie...His 175 SO set a club rookie record, surpassing Scott Kazmir (174) in 2005...ranked second among major league rookies to TEX Yu Darvish (221) and 10th overall in the AL...marked the most strikeouts by an AL rookie southpaw since SEA Mark Langston (204) in 1984...His 8.88 SO/9 IP was third highest in major league history by a rookie lefthander...ranked fifth in the AL overall...His 11 wins ranked fifth in club history by a rookie, after Rolando Arrojo (14 in 1998), Jeff Niemann (13 in 2009), Jeremy Hellickson (13 in 2011) and Wade Davis (12 in 2010), and were most by a rookie lefthander...According to PITCHf/x data, averaged 94.4 mph on his fastball, third highest among qualifying ML starters behind teammate David Price (95.5) and CHC Jeff Samardzija (95.0)...threw fastballs 65.9 percent of the time, fifth-highest mark in the AL...Went 7-5 with a 3.55 ERA (99-IP, 39-ER) in 17 starts at home, with 98 SO and 38 BB...in 14 road starts, went 4-6 with a 4.14 ERA (78.1-IP, 36-ER) with 77 SO and 43 BB...Held lefties to a .243 avg. (37-for-152), but limited them to a .188 avg. (22-for-117) from May 17 through season's end...prior to that, they hit .429 (15-for-35)...Generated a swing-and-miss on 11.8 percentof his total pitches, 2nd-highest rate in the AL behind DET Max Scherzer (12.2)...ranked just ahead of TEX Yu Darvish (11.8), DET JustinVerlander (11.7) and NYY CC Sabathia (11.5)...Averaged 17.0 pitches per IP, 3rd most in the AL...allowed 4.11 BB/9 IP, fourth highest in the AL...From June 3-Aug 19, went 9-2 with a 2.79 ERA (87-IP, 27-ER)...his 9 wins in that span led major league rookies and tied David Price and LAA Jered Weaver for most in the AL...did not allow a home run over a stretch of 8 starts and 56.2 innings from June 27-Aug 19...On June 15 vs. MIA, threw 7 shutout innings and allowed only one hit in a victory over Carlos Zambrano, an 11-0 win...On May 28 vs. CWS lost a 2-1 decision to Chris Sale but combined for 25 SO (Moore-10, Sale-15)...according to the Elias Sports Bureau, the last time opposing starters age 23 or younger combined for 25 SO was July 31, 1901, when CHC Tom Hughes had 15 and CIN Noodles Hahn had 11 (14-inning game)...it was the first time opposing lefthanders each had 10 SO or more since Sep 16, 1992, when SEA Randy Johnson had 15 (9-IP) and CAL Mark Langston had 12 (10-IP)...Moore and Sale's combined 25 SO werethe most in an AL game since May 6, 2000 when BOS Pedro Martinez (17) and TB Steve Trachsel (11) combined for 28 at Fenway Park...Entered the season rated the No. 2 prospect (and top pitching prospect) in the game by Baseball America (trailing OF Bryce Harper), and No. 1 prospect overall by MLB Network and Baseball Prospectus...Baseball America also rated him as the Best Fastball, Best Curveball and Best Control in the Rays organization. Began the season at Double-A Montgomery and wound up making history for the Rays in the postseason...appeared in a total of 5 games (2 starts) with the Rays including postseason and was 2-0 with a 1.86 ERA (19.1-IP, 12-H, 4-R/ER, 6-BB, 23-SO)...held opponents to a .171 (12-for-70) average...won both starts over the Yankees and Rangers without allowing a run...actually pitched more innings in the postseason (10-IP, 1-ER) than in the regular season (9.1-IP, 3-ER)...added to the postseason roster after the Aug 31 deadline, replacing injured RH Alex Cobb...Went from Montgomery to Triple-A Durham on July 22 and then jumped to the Rays on Sep 12...beat the Yankees on Sep 22 in his first start and 8 days later-at 22 years, 104 days-became the youngest starting pitcher ever to win his team's first game of the postseason...threw 7 shutout innings in the Rays 9-0 win in Game 1 of the ALDS at TEX...allowed 2 hits, 2 walks and struck out 6 while throwing 98 pitches...previously that mark was held by CIN Gary Nolan (22 years, 129 days) in the 1970 NLCS...Became the 5th rookie starter to win his team's first game of the postseason and first since NYY Jim Beattie in Game 1 of the 1978 ALCS at KC...also became the first rookie in major league history to pitch at least 7 innings and allow no runs and 2 hits or fewer in a postseason game and the 2nd youngest to do it behind NYY Waite Hoyt (22 years, 27 days) in the 1921 World Series (Game 2 vs. NYG)...With a 0.90 ERA (10-IP, 1-ER) and .091 opp avg. in the postseason, became only the second rookie to record a sub-1.00 ERA and sub-.100 opp avg. in the postseason (min. 10 IP)...joined PIT Bruce Kison in 1971 (0.00 ERA, .088 opp avg. )...became only the 12th rookie to post a sub-1.00 ERA in the postseason (min. 10 IP), first since NYY Orlando Hernandez in 1998 (0.64)...In 2 starts with the Rays-including his postseason win over the Rangers and his first major league start on Sep 22 at NYY-he pitched a combined 12 scoreless innings and allowed only 6 hits...fanned 17 and walked 3...Made his first start on Sep 22 at NYY, earning a 15-8 win with 5 shutout innings and helping the Rays avoid a 4-game sweep...left after 5 innings with a 13-0 lead...his 11 strikeouts set a club record for a pitcher's first major league start and were the most by an AL pitcher in his first big league start since OAK Tim Hudson (11) on June 8, 1999...according to Elias, became the first pitcher (rookie or not) to strike out 11 Yankees in 5 innings or less...Since 2000, only Moore and WAS Stephen Strasburg (14 SO) have had 11 or more strikeouts in their first major league start...at 22 years, 97 days, Moore became the youngest pitcher to fan 10 or more Yankees in New York since DET Hal Newhouser (14) on May 27, 1943 (22 years, 7 days)...Made his major league debut Sep 14 at BAL in relief of Wade Davis (1.1-IP, 3-H, 2-R/ER, 0-BB, 2-SO)...struck out the first 2 batters (J.J. Hardy and Nick Markakis), then yielded a single to Vladimir Guerrero and a home run to Matt Wieters...Threw 3 innings (2-H, 1-R, 2-BB, 2-SO) in relief of Jeff Niemann on Sep 17 at BOS and protected a lead in the Rays 4-3 win which sliced the Rays deficit in the AL Wild Card race to 3 games...fanned Dustin Pedroia in the 7th inning with 2 out and the tying run on third base...this occurred in front of a national TV audience on FOX...Named the 2011 winner of the 52nd annual J.G. Taylor Spink Award as the Topps/Minor League Player of the Year...joined Delmon Young (2005) as the only two Rays to win the award...Selected as the Rays Minor League Pitcher of the Year, as well as Minor League Pitcher of the Month for June and July...Baseball America named him the top prospect in the Rays system after the season, as well as the Best Fastball, Best Curveball and Best Control in the organization...the publication also rated him the top pitching prospect in the game (No. 3 prospect overall) at midseason and named him to their Minor League All-Star Team...BA's Best Tools survey of minor league managers rated him as the Best Pitching Prospect and Best Fastball in the Southern League...Fanned 236 batters in 190.1 innings at the minor and major league level (postseason included)...his 210 minor league strikeouts set the Rays organizational record, breaking his own mark of 208 in 2010...became the first minor league pitcher to record 200 or more strikeouts in consecutive seasons in 40 years, since John D'Acquisto (in the Giants system, 1971-72)...led all minor leaguers in strikeouts in 2009 (176) and 2010 and finished 2nd in 2011...Went 12-3 with a 1.92 ERA (155-IP, 33-ER) in a combined 27 starts for Montgomery and Durham...ranked 2nd in the entire minor leagues in ERA, strikeouts (210) and opp avg. (.184), and led all minor leaguers with 12.2 SO/9 IP...allowed only 101 hits and 46 walks...Despite the July 22 call-up, was named Southern League Pitcher of the Year and a midseason and postseason Southern League All-Star...Threw a 9-inning no-hitter for Montgomery on June 16 at Mobile (Rockies), the 9th in the history of the Rays organization (including majors and minors)...tallied 11 SO and 2 BB...needed only 106 pitches, 76 strikes...Threw one perfect inning for the U.S. team in the 13th All-Star Futures Game at Chase Field in Phoenix on July 10. In 2010, led all minor leaguers in strikeouts for a second straight season, with 208...became the first minor leaguer to eclipse 200 strikeouts since Francisco Liriano in 2005, and the first Florida State League pitcher to do so since 1971 (Mike Cosgrove, Cocoa Astros)...fanned 10-plus batters in 11 of his last 15 starts...Named to the Baseball America Minor League All-Star and Topps Class-A All-Star teams...ranked as the No. 1 prospect in the Florida State League and named the Best Breaking Pitch after the season...selected as the FSL Pitcher of the Week four times and named to the FSL postseason All-Star Team...named Rays Minor League Pitcher of the Month in July and August...Following the season was rated by BA as the No. 2 prospect in the Rays system behind Jeremy Hellickson and the No. 15 prospect in the game. Led all minor leaguers in 2009 with 176 SO in just 123 IP and led all full-season minor leaguers with a 12.88 SO/9 IP and a .195 opp avg...was named Most Valuable Player for Bowling Green...Threw a 7-inning no-hitter on June 6 at Asheville (Rockies), with 12 SO...After the season, was named the No. 4 prospect and Best Curveball in the Rays system by Baseball America, as well as the No. 3 prospect in the South Atlantic League. Led all minor league pitchers in 2008 with a 12.75 SO/9 IP ratio and .154 opp avg. ...named Pitcher of the Year for Rookie-level Princeton, where he spent a second straight season...led the Rays org. in ERA and ranked 6th among all minor league pitchers...topped the Appalachian League in strikeouts. April 7, 2019 Detroit Tigers placed LHP Matt Moore on the 10-day injured list. Right knee strain. December 4, 2018 Detroit Tigers signed free agent LHP Matt Moore. November 2, 2018 LHP Matt Moore elected free agency. 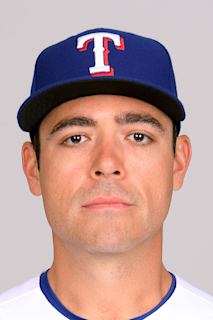 May 30, 2018 Texas Rangers activated LHP Matt Moore from the 10-day disabled list. May 19, 2018 Texas Rangers placed LHP Matt Moore on the 10-day disabled list. Right knee soreness. December 15, 2017 San Francisco Giants traded LHP Matt Moore and Future Considerations to Texas Rangers for RHP Sam Wolff and RHP Israel Cruz. October 7, 2016 San Francisco Giants activated LHP Matt Moore. October 5, 2016 San Francisco Giants reassigned LHP Matt Moore to the minor leagues. August 1, 2016 Tampa Bay Rays traded LHP Matt Moore to San Francisco Giants for 3B Matt Duffy, SS Lucius Fox and RHP Michael Santos. September 1, 2015 Tampa Bay Rays recalled LHP Matt Moore from Durham Bulls. August 3, 2015 Tampa Bay Rays optioned LHP Matt Moore to Durham Bulls. July 2, 2015 Matt Moore roster status changed by Tampa Bay Rays. June 21, 2015 Tampa Bay Rays sent LHP Matt Moore on a rehab assignment to Durham Bulls. June 2, 2015 Tampa Bay Rays sent LHP Matt Moore on a rehab assignment to Charlotte Stone Crabs. November 3, 2014 Tampa Bay Rays activated LHP Matt Moore from the 60-day disabled list. April 8, 2014 Tampa Bay Rays placed LHP Matt Moore on the 15-day disabled list. Left elbow soreness. September 3, 2013 Tampa Bay Rays activated LHP Matt Moore from the 15-day disabled list. August 29, 2013 Tampa Bay Rays sent LHP Matt Moore on a rehab assignment to Durham Bulls. August 23, 2013 Tampa Bay Rays sent LHP Matt Moore on a rehab assignment to Durham Bulls. July 31, 2013 Tampa Bay Rays placed LHP Matt Moore on the 15-day disabled list retroactive to July 29, 2013. Left elbow soreness. September 12, 2011 Tampa Bay Rays selected the contract of LHP Matt Moore from Durham Bulls. July 19, 2011 Matt Moore assigned to Durham Bulls from Montgomery Biscuits. April 6, 2011 Matt Moore assigned to Montgomery Biscuits from Charlotte Stone Crabs. April 8, 2010 Matt Moore assigned to Charlotte Stone Crabs from Bowling Green Hot Rods. August 23, 2009 Matt Moore assigned to Bowling Green Hot Rods from Hudson Valley Renegades. August 19, 2009 Matt Moore assigned to Hudson Valley Renegades from Bowling Green Hot Rods. August 6, 2009 Matt Moore assigned to Bowling Green Hot Rods from Hudson Valley Renegades. August 1, 2009 Matt Moore assigned to Hudson Valley Renegades from Bowling Green Hot Rods.